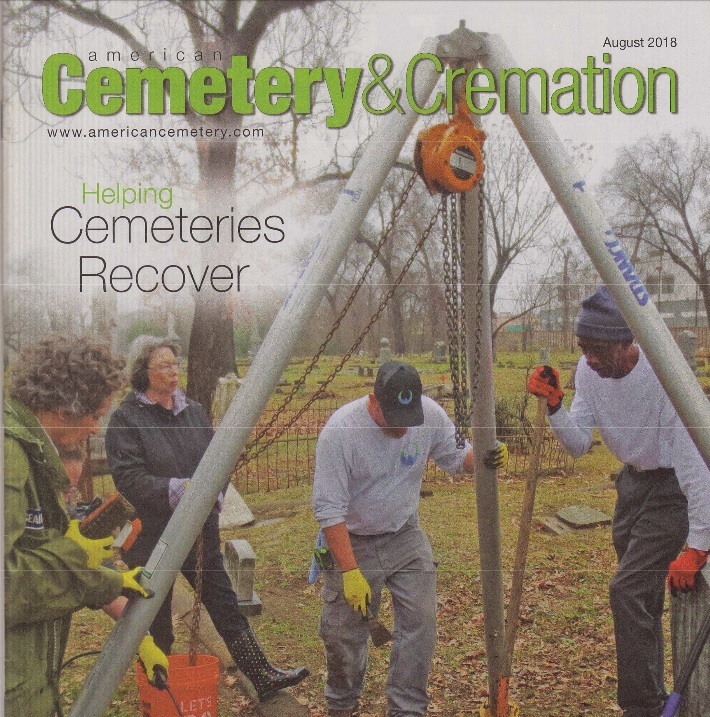 Ypsilanti was published in American Cemetery & Cremation magazine in last August. Thanks to Maggie Brandt and Paula Strenski for writing a great article about the solar project in Highland Cemetery. You can read the article here. I was updating our database of solar presentations they we have given over the years. In the past 12 years we have given a total of 255 solar presentations and reach over 5400 people in face-to-face meetings. Many as small as one person at the local coffee shop to over a hundred at a weekend festival, farmer market, or events like TEDx and Ignite. I calculate our average at about 20 people per event. Here’s the list (below) if you want to check the math. 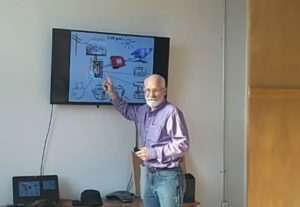 Drop me a note (Dave@Strenski.com) if you would like me to visit your organization and talk about how solar power can save you money. 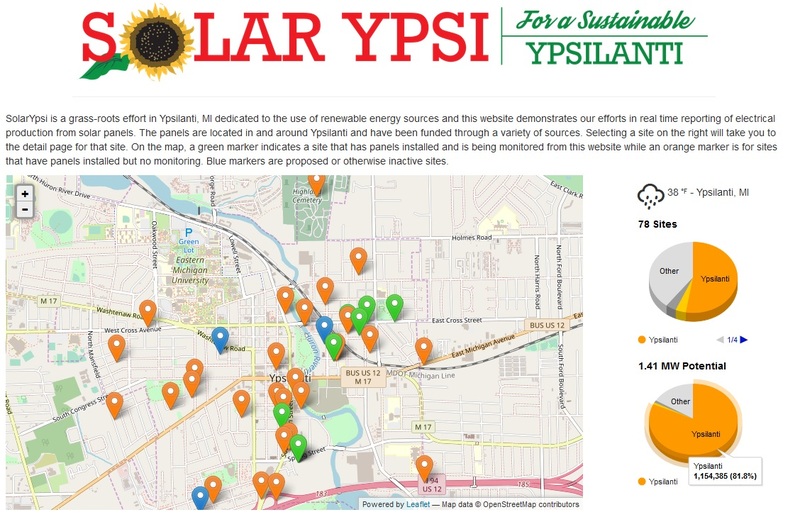 With all the recent solar installations going on in the City of Ypsilanti, I looked are our totals on the pie chart on the home page. We are currently sitting at 1,154,385 watts or 1.15MW. This is a bit conservative, since I know of a couple of solar installation that are not on SolarYpsi yet. Looking at our current population on the Ypsilanti Wiki page, there are 21,076 people living in the city. Dividing 1,154,385 watts by 21,076 people we have 54.77 watts per capita. Then looking at the 2018 Environment America Shining City report, page 7, I can see that San Francisco is ranked #18 with 54.1 watt/capita and Washington DC is ranked #17 with 69.4 watts/capita. 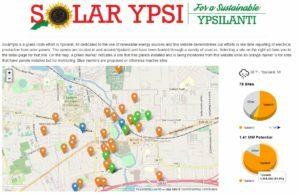 That makes Ypsilanti number #18 in the national for solar on a watts per capita basis. Woohoo!! Granted we’re a small city, but something we can all be proud of achieving. Let’s install more solar power and shoot for over taking Honolulu and being #1. 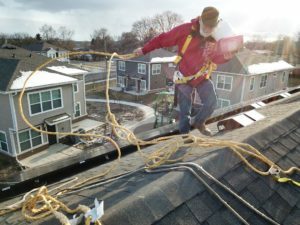 Call a solar contractor today and get a quote. 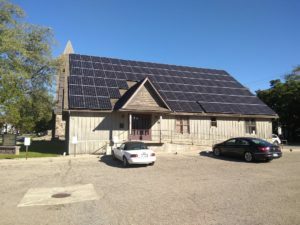 Ypsilanti has another 31.5kW of solar thanks to the Ypsilanti Performance Space. They have a roof with a neat perfect pitch and facing due South, with a parking lot to the South, so no trees to spring up and shade the panels. You can see more pictures here. Thanks to all the volunteers that helped install 52 more panels on the Fire Station. We had about dozen people and the job was over in about 2 hours. This brings the number of panels on the Fire Station up to (176+52) 228 panels. 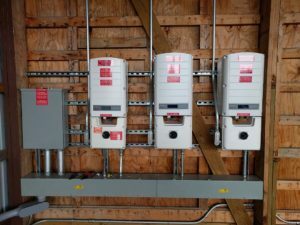 Some 285 watts and some 300 watts for a total of 65kW of power! 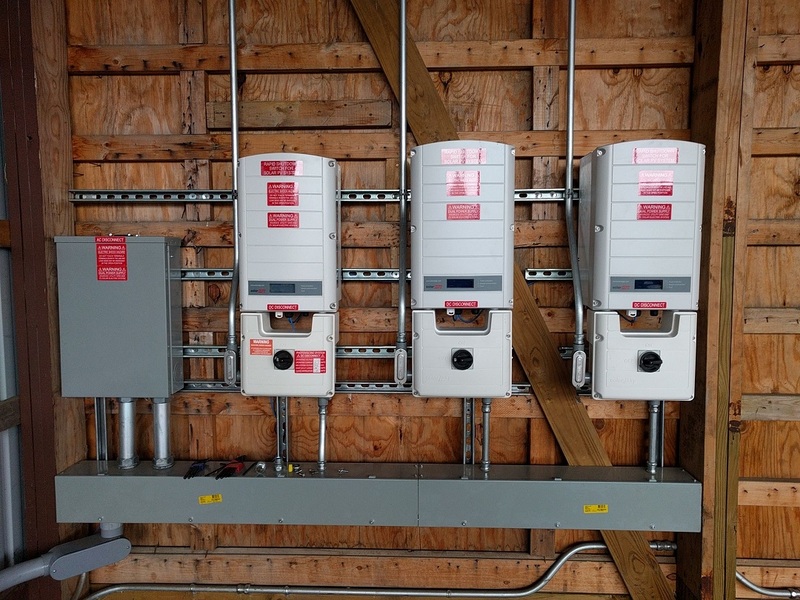 This should make the Fire Station vary close to 100% solar powered. Pictures here. Our second SunShot project at the Ypsilanti Department of Public Services on Forest Ave was finished in April. They had 5kW on the roof from a project we did a couple of years ago. The team disassembled that array, added 20kW of more panels, and installed a 25kW array. Pictures here and a video here. This was another project lead by Chart House Energy where we were able to train another four local residence in how to install solar power and hired them to install solar on this roof. Thanks to everyone that helped with the solar project at Parkridge. The system was finished last November and making power. You can see pictures here and a video of this project here. 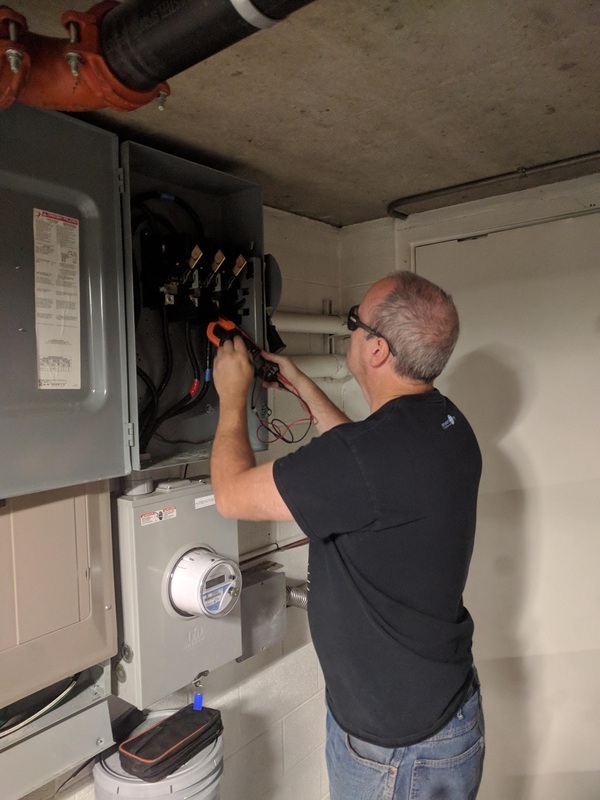 This was a great project lead by Chart House Energy where we were able to train four local Parkridge residence in how to install solar power and then hired them to put solar on the roof. This was the first of our SunShot projects.